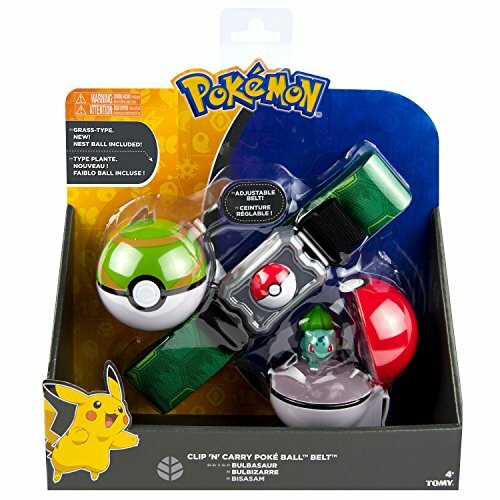 Turn into a Pokémon Trainer with the Clip ‘n’ Carry Poké Ball Belt! The set includes one adjustable belt with a Poké Ball design, one Poké Ball, one never released before Net Ball and one 2” Pikachu figure. The belt holds up to six Poké Balls at once. Additional Poké Balls and figures are sold separately. Additional Poké Balls and figures are sold separately.